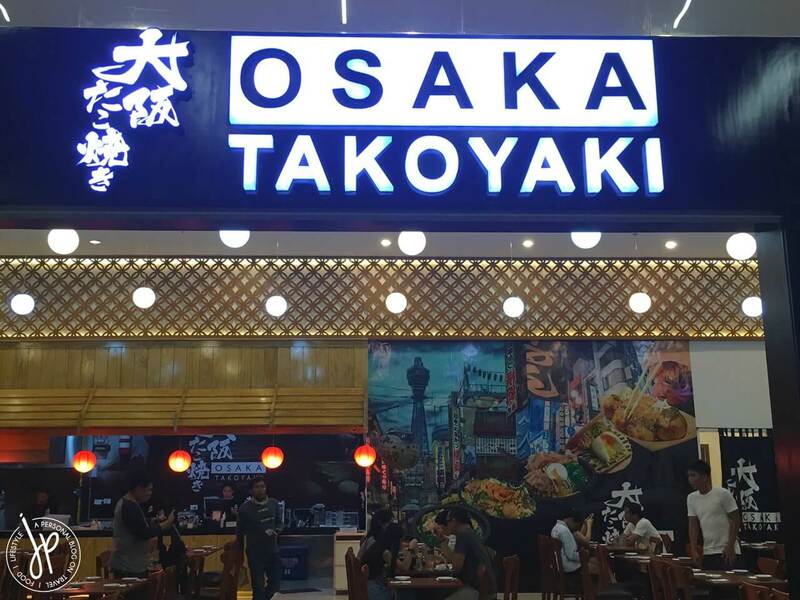 Osaka Takoyaki is one of the newest Japanese restaurant chains in the Philippines. 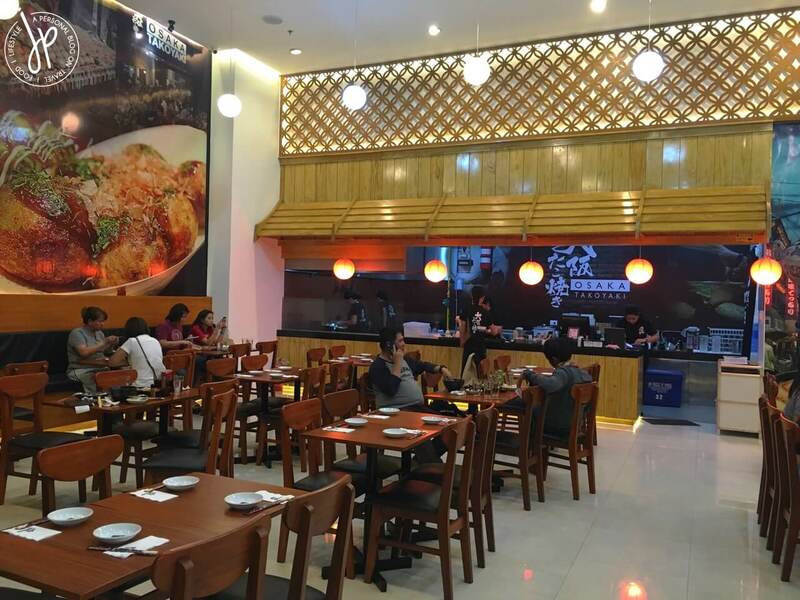 Having only started in January 2015, Osaka Takoyaki now has more than 40 branches nationwide. What makes their menu different from other Japanese restaurants is that their food offerings are specifically served in Osaka prefecture. Osaka is known to be a place where sumptuous dishes are made, thus it is a well-known location to enjoy street food. Trying Osaka Takoyaki for the first time, I visited their newly-opened branch at SM City Cabanatuan last month. Together with my husband and mother-in-law, we tried some of their dishes, including the famous Takoyaki. The restaurant projects an inviting ambiance, having a huge dining space and immense photos of their foods plastered on the wall. Chopsticks and plates on wooden tables, as well as cushioned chairs await customers. We chose to seat at the far end corner of the restaurant and we were handed menus as soon as we settled on our table. Their menu had various offerings such as Okonomiyaki, Yakisoba, Yakiudon, Gyoza, Tofu Steak, Ramen, and a lot more. Of course, they have Takoyaki, which I love in any recipe, so it’s only natural for me to order their original recipe. For my main dish, I got myself a bowl of Tonkotsu Ramen while my husband ordered Shoyu Tonkotsu. My mother-in-law asked for the server’s recommendation, so she ordered Scrambled Egg Yakisoba – a bestseller. First to arrive on our table is their signature, original Takoyaki. This one had octopus bits and the balls were drizzled with Takoyaki sauce, mayonnaise, and bonito flakes. Their original Takoyaki does taste good, although I noticed that the individual size as well as the quantity of their Takoyaki is too small for its price. I would have liked it better, too if they served us a newly-cooked batch, because the balls were already wrinkled and cold. 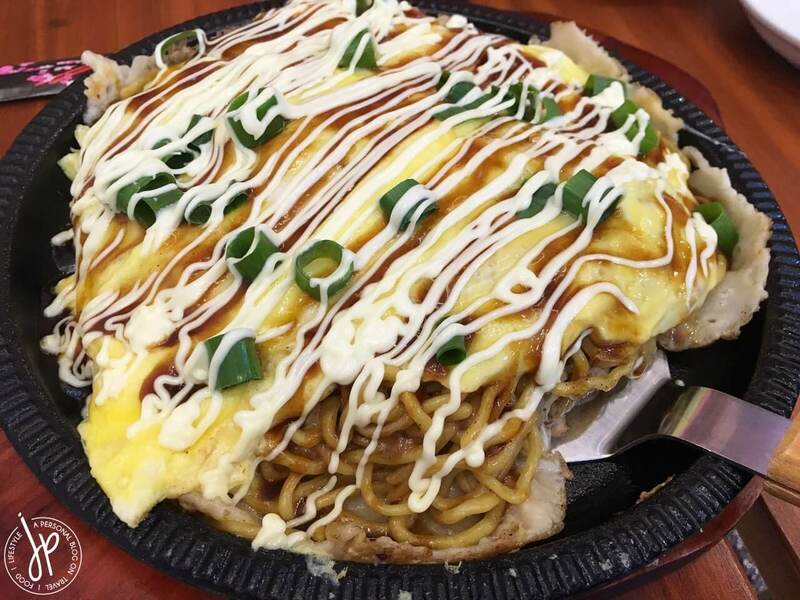 The second dish to arrive was the Scrambled Egg Yakisoba served on a hot plate. The noodles were enveloped in a generous amount of scrambled egg, drizzled with sauce and mayonnaise, and topped with green onions. My initial reaction having a bite of this yakisoba is that it’s too salty. However, once I ate more, I got used to the taste which isn’t bad at all. It’s actually filling, so an order is good enough for two to three people. Our bowls of ramen were served last on our table. I appreciate that the soup of my Tonkotsu Ramen is far from salty. It had a light taste, though not as tasty as I wanted it to be. 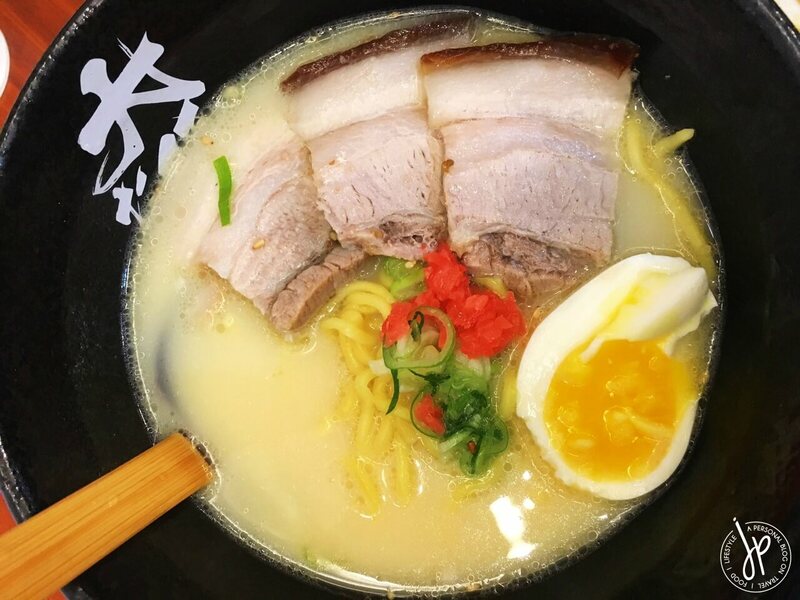 The pork slices were thicker than what I expected and than what I am used to – though I didn’t feel like the pork flavor became apparent in the broth. 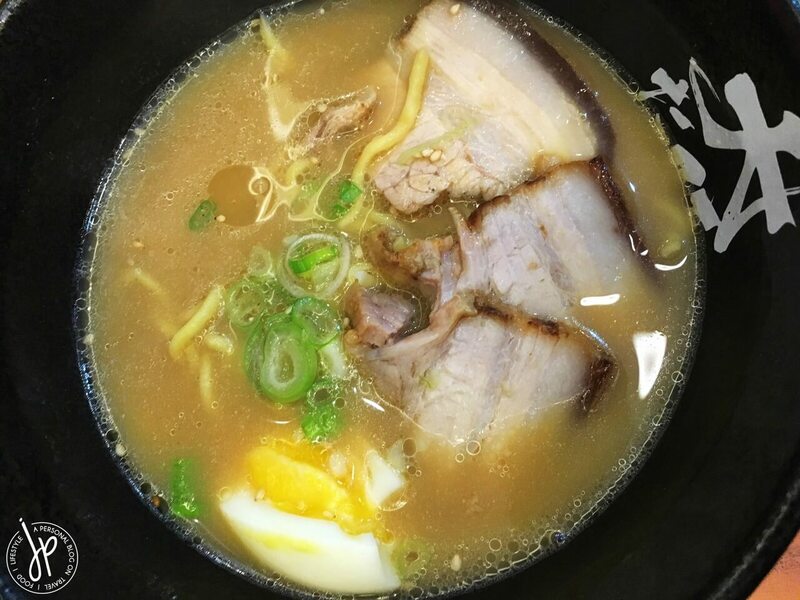 My husband’s serving of Shoyu Tonkotsu Ramen had a little bit of pork taste, though not as flavorful as he expected. The noodles were cooked just right, but we were not sure if these are freshly made noodles or not. I know for sure my husband didn’t like the ramen (I didn’t like mine, too), because he didn’t finish his meal. 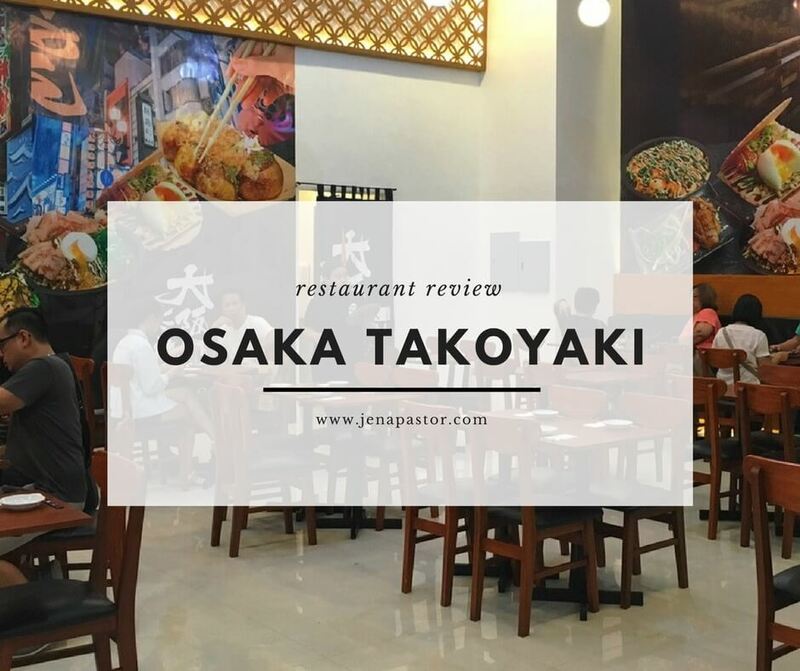 To round up, I think Osaka Takoyaki has made the look and feel of their restaurant inviting, but the food that we had didn’t measure up to the price they were asking for. The food isn’t bad, but it’s not that good either. 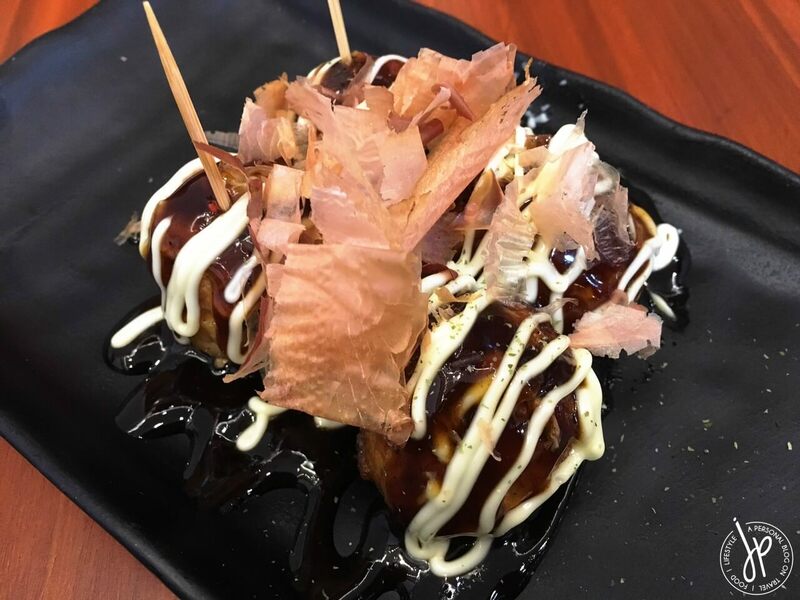 If there’s one dish I’d recommend (based on our order), it would just be their Takoyaki. Other than that, the rest of our order is a miss for me.